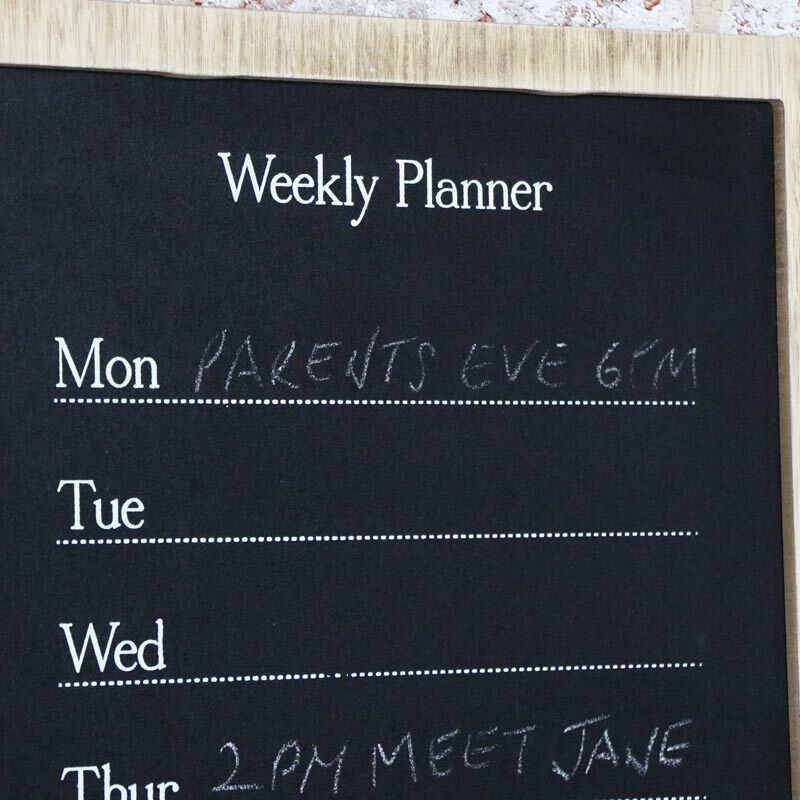 Multi Purpose Weekly Planner - Perfect organiser for the home, multi purpose with chalk board, letter holder and key hooks. Ideal for hanging in the kitchen or hallway. Practical and stylish multi purpose weekly planner with blackboard, handy design that also keeps letters and keys safe and neatly stored. 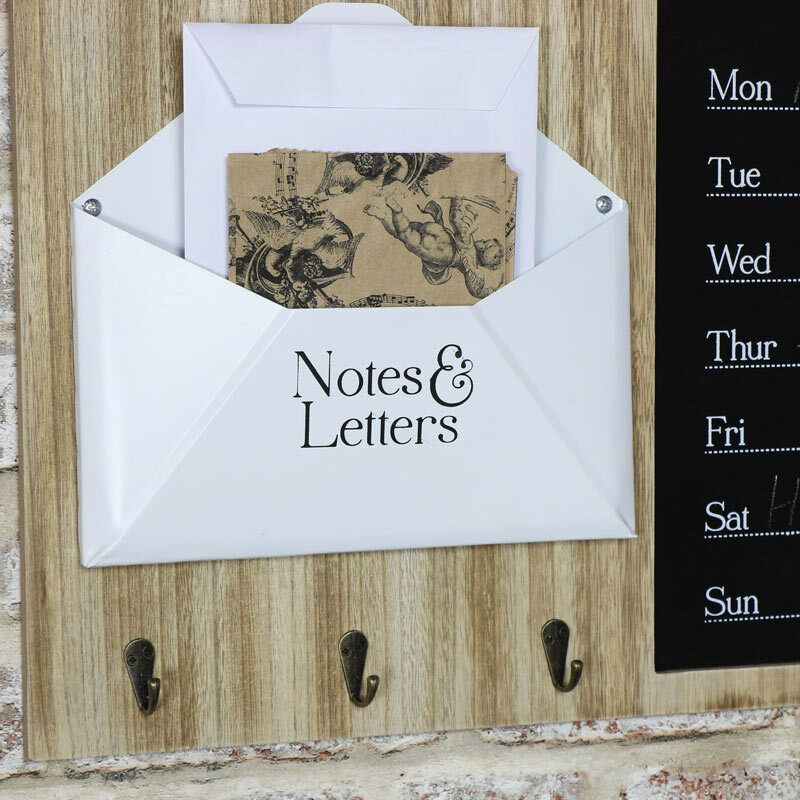 Organise the week ahead with the blackboard for important notes, the letter rack for holding mail and notes and 3 hooks for keeping your keys ready and close to hand. (Please be aware that chalk pens are unsuitable for use with this board and may stain). Multi Purpose Weekly Planner - Perfect organiser for the home, multi purpose with chalk board, letter holder and key hooks. Ideal for hanging in the kitchen or hallway. Practical and stylish multi purpose weekly planner with blackboard, handy design that also keeps letters and keys safe and neatly stored. 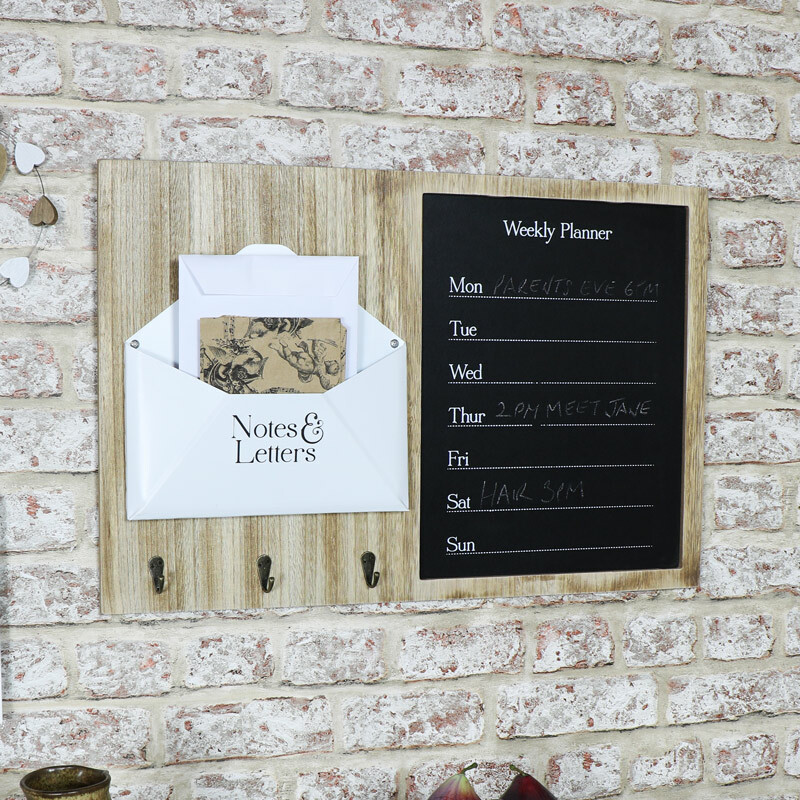 Organise the week ahead with the blackboard for important notes, the letter rack for holding mail and notes and 3 hooks for keeping your keys ready and close to hand. (Please be aware that chalk pens are unsuitable for use with this board and may stain). Made from wood with blackboard and metal hooks. Easily wall mounted with hooks on the back for hanging. Part of our fantastic range of gifts and accessories, this chalkboard is just one of the many we have available for you to choose from, in freestanding and wall mounted designs.